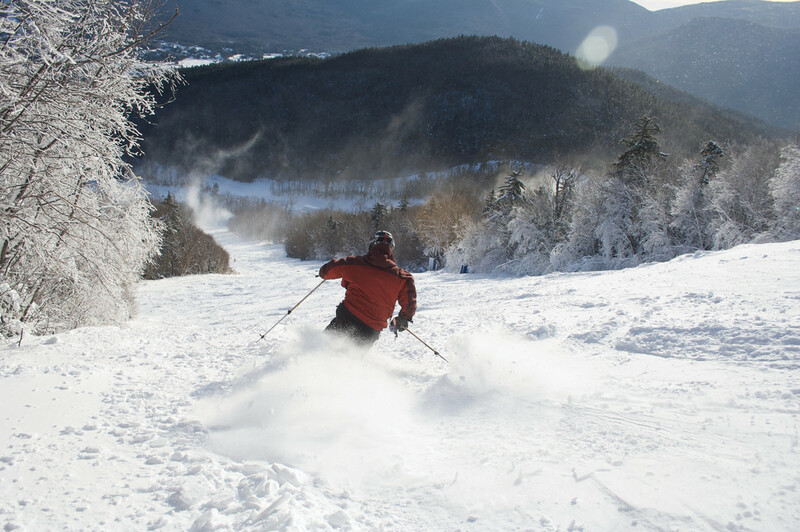 Waterville Valley has long been a popular destination for Bean Town skiers and riders. Former owner Tom Corcoran played host to many a prominent Bostonian, including members of the Kennedy clan. Since its acquisition by Booth Creek Resorts, Waterville has received many upgrades. Its village core is one of the first in the East and the mountain's 2,000-foot vertical drop is exceptionally appealing. Waterville has consistently hosted major international races, including many memorable World Cups. An all-access daily lift ticket that lets kids try out snow tubes, ski bikes, snowscoots, ski foxes, and snow blades in the Exhibition Park. Valley-wide shuttle, athletic club with indoor pool and tennis courts, town recreation department, and 17,000-square-foot conference center. Rentals, childcare, and adaptive skiing program. One hundred percent snowmaking.